Instead of a movie night this past weekend we welcomed a new baby into our hearts, so I am posting a movie night we did this past summer. 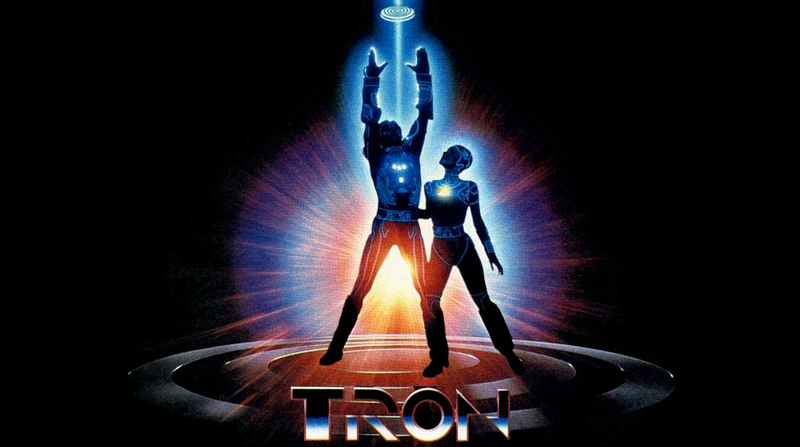 As a child, my husband loved Tron. When the new one came out he thought that the original was so much more exciting and ground breaking but he was still very happy to step back into that world with his son. They both had a great time watching this father/son double header story. 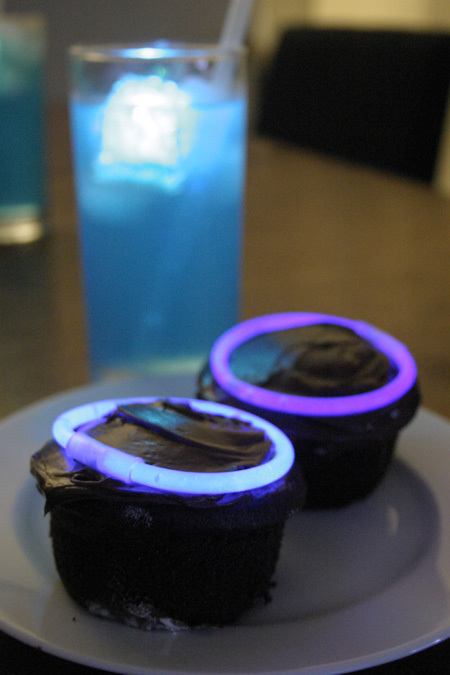 For the snack I made chocolate “Disc” cupcakes with glow stick bracelets on top. We also had blue Gatorade and added the kids glowing ice cubes from Artist’s Point at Disney’s Wilderness Lodge. My daughter’s cube is loosing it’s glow so we have to go back soon to replace it! Finally, we added bright blue icing around the edges of some Oreos and the kids had them for school that week. Then we went out to the park with our dog for a disc game. 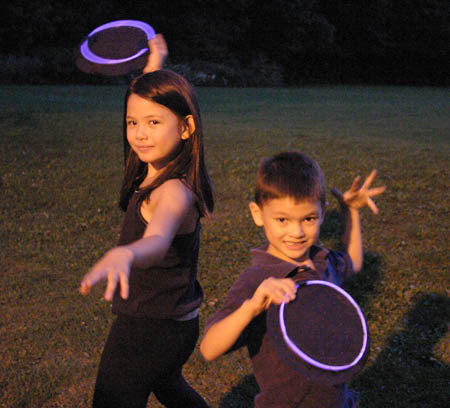 The kids had painted Frisbees black and glued glow necklaces to them. 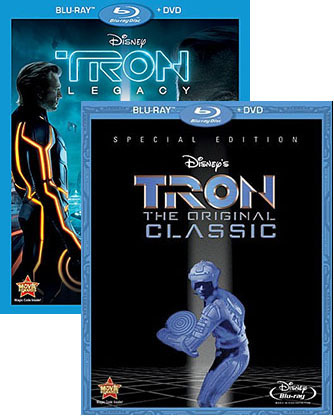 Again though, my husband couldn’t get enough of this and the next day he and my son found a paper craft of three light cycles: Clu’s here, Kevin Flynn’s here and Sam Flynn’s here on the Disney site. They spent many happy hours assembling, and then racing the light cycles. For materials for both crafts all you need are black paint, Frisbees, glow necklaces, scissors, and glue.